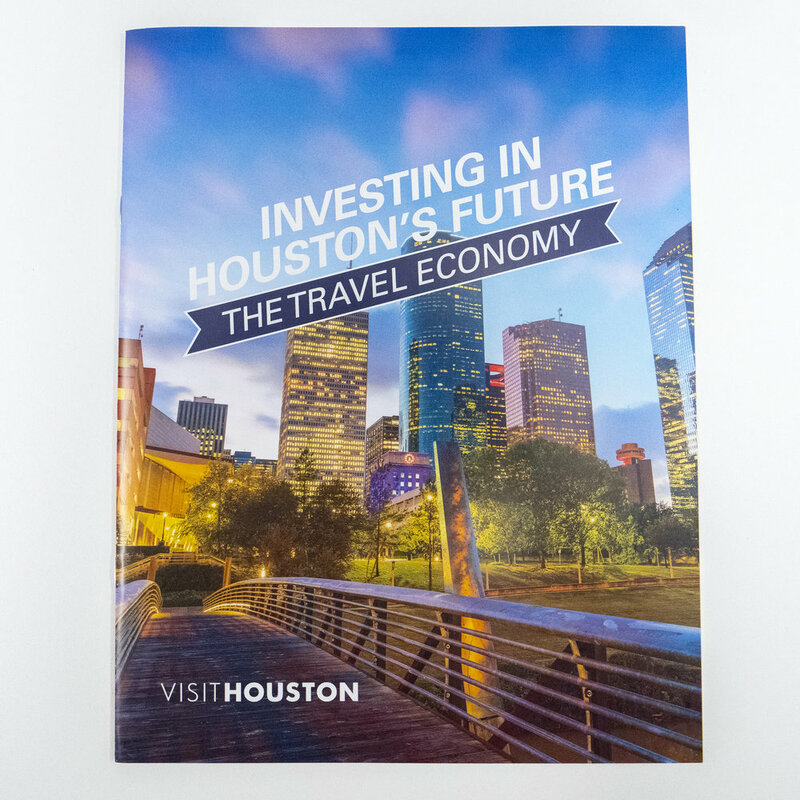 Project: Design a booklet to showcase becoming a GHCVB Member and all that Houston has to offer. Goal: Create a booklet that continues the design from the cards as well as make a showcase piece that will impress potential clients. Interior Detail, continuing the ribbon theme from the Membership cards.